It's a SOCK HOP - SAVE WILLARD'S CLOCK - THE TIME IS NOW. MAKE A DONATION TODAY. 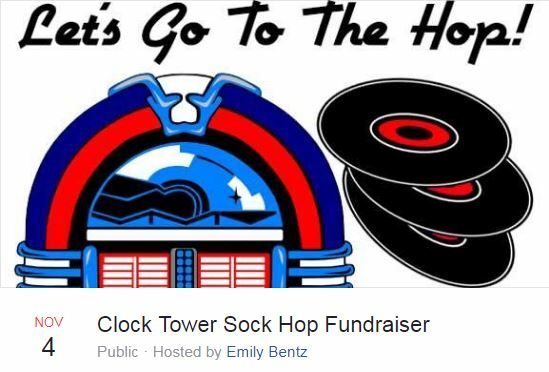 or the Facebook Event under Clock Tower Sock Hop Fundraiser! ​Hi Everyone!! This is the project that I am doing for my Senior Project. This will be a family friendly event and I hope to see everyone there! Please share this with all of your family, friends, and others that you may encounter. There is more information to come on this event and it will all be posted on this event page! The funds are going towards helping to preserve our history and heritage by helping to erect the Clock Tower on the corner of Pearl and Myrtle. If you would like to more on the Clock Tower Project itself, you can find more information at www.savewillardsclock.com or on their Facebook page! I hope to see many at this event and thank you!